1789 to 1914 was a time of momentous and often violent change religiously, socially, politically and economically in the western world. The revolutions in the churches and the powerful empires of the day were to have a profound effect upon society at large both then and in the years that followed. In this detailed yet fascinating study, Ian Shaw gives context and understanding to this legacy which has been passed on from that era by providing an expert analysis of the period with a focus on the key leaders, influences and issues. 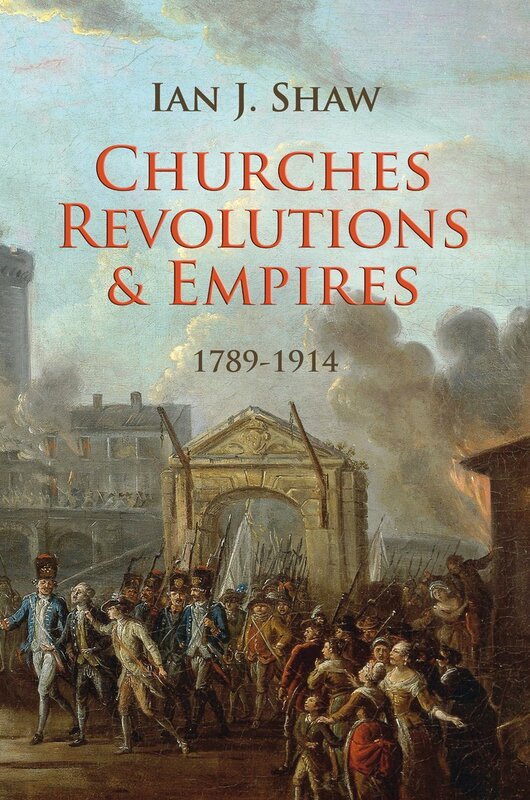 Churches Revolutions And Empires by Ian Shaw was published by Christian Focus Publications in May 2012 and is our 36881st best seller. The ISBN for Churches Revolutions And Empires is 9781845507749. Be the first to review Churches Revolutions And Empires! Got a question? No problem! Just click here to ask us about Churches Revolutions And Empires. "The book is clear, well arranged and up-to-date in its absorption of recent research. It covers the full range of denominations across the globe, setting religion firmly in its socio-political context and so addressing central historical issues such as empire and national identity. It is likely to command a wide readership in universities, theological colleges, ministers' studies and private homes." "Ian Shaw's book will give a sure and illuminating guide to these multiple processes of revolutionary change which began to redraw the contours of world Christianity."